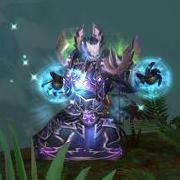 This thread is for comments about our Lich King guide. For druid, i've done easily with jade idole x2, innervation x2, wild growth, jade blowsome nourrish x2, Gadgetzan Auctioneer x2. I've filled the rest of the deck with low cost minions (just to watch them burn by the mighty hand of arthas). The strat is easy to apply : just do your jade things^^. Suggested priest deck is not working so well.Too much depending on mulligan and in-game draw.Closest chance i had after 11 tries was to break LK 's armor and then he cast the "draw 6 cards and gain a s**tload of armor" card.Gonna try my ramp druid to see how it holds. Once you have Kel'Thuzad safely behind a Taunt minion you should try and get your Taunt minion to 1 Health, this will prevent the boss from Attacking in addition to playing no cards. in the Warrior-Guide mean? Is this an AI-bug or do I miss something? @Taan Hearthstone AI sometimes does not attack taunts while there is Kel'Thuzad on your side of the board, in this case when the taunt minion has 1 health. During the Frostmourne phase, Lich King does not play any cards. This combined gives you a great advantage, as the Lich King will not play any cards and will not attack, basically giving you whatever amount of time you need to set everything up before you are ready to enter the next phase. Try getting a minion to WayTooMuch/WayTooMuch while the Lost Souls are up and avoid P3 altogether. It works wonders. Astral Communion druid makes easy work of this. My first attempt went something along the lines of turn 2 innervate + astral into turn 3 Ultimate Infestation topdeck. Wow...was it really that easy?I have had my derriere handed to me several times until now...What do you propose instead of Molten Giant? Well it wasn't that easy... a lot of luck and restarting. The main idea behind this deck is to put exactly 15 minions in your deck (including Molten Giant). Then you draw 2 or 3 minions with your opening-hand and get shot in the face with 24 to 26 damage, putting you to 6 or 4 life, making it possible to play Molten Giant for free (or for one mana). So the Giants seem necessary to deal 60 damage before turn 7. But maybe you could try to play two Alleycat on turn one and two. Scavenging Hyena on the next turn - run the cats in the Lich Kings creatures and then try to buff the Hyena with Windfury (Crackling Razormaw). Maybe Vicious Fledgling could work also. Bottomline: Finishing the Lich King of before turn 7 is the only way I can think of. After a lot of frustrating attempts at nothing with the Barnes list, I used this, added in 2x vicious fledgling and won on 2nd try. 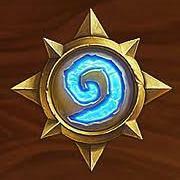 After the first day, I only miss Mage and Warrior. For paladin, I used a buff deck based on Young Dragonhawk. It was easy the first time I had the hand I wanted. For Priest, I used a Cthun/N'zoth deck. Double Cthun did all the work. For Rogue, I used a pirate aggro. For Warlock, it was hard. I used a renolock with Krul and the deathknight as win conditions. It worked after some tries. I hope tomorrow to conquer my Arthas, as secret paladin is still my deck to climb ladder! It'll be cool to use that (old cancer) deck with the future Lich King! Can the Rouge deck has some other suggestions such as swapping out card X with Sabotuer? Sabotuer on the turn you kill Frostmourne and his passive hero power should force him to spend 5 mana dealing 1 damage to your hero. However, I say should because I am testing this now and I have terrible RNG. Assuming you can stop his hero power then the minion Mindbreaker should also be perfect since the rouge does not really need their hero power late game whereas his passive will definitely wreck people. I also feel like the rouge deck needs more draw but I just rely on cold light oracle mostly. *Notice, MindBreaker DOES NOT stop his hero power. He does however say "My power is not so easily eclisped..."
Update, Saboteur DOES make his hero power cost 5 and forces him to use it. Due to forcing him to waste 5 mana twice in a row, it really ruins what he can / can't due. No Blizzard since it costs 6 mana and he never saves the coin long enough to use it in that situation. Saboteur honestly won most of that game for me. Him and Jeeves the card drawing machine. 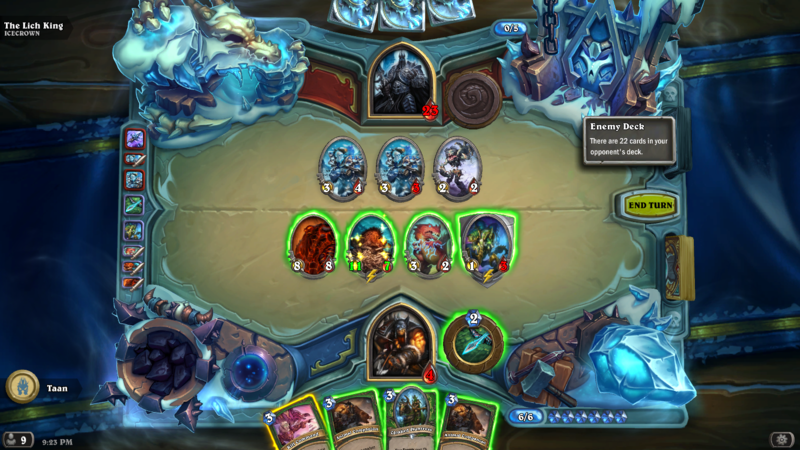 I killed the Lich King with all 9 classes as a f2p player, AMA! Jokes aside, it felt really frustrating yesterday. But today more people had tried it and suggested decks about it so I managed somehow to find decks for all 9 classes. I only had to craft a second Ice Block, a Brawl and a Scaled Nightmare. Mage and Huntard were RNG-fests, I had to restart the game multiple times until I got the proper starting hand and after that things still had to go perfectly. Having a single Brawl was also a nightmare for my Warrior game. I got quite lucky with Murloc Shaman, Paladin and Hunter; I didn't need too many turns for them. Murlocs in general seem to be very powerful, since I also used a Murloc Rogue and a Murloc Warlock (and I don't even have Gentle Megasaur). The last one and the most difficult for me is actually what most people will find the easiest: Druid. Without Fandral and Aya, it seemed impossible and I am not used to piloting Jade Druid. I do have the dust to craft them both and maybe I should have since they are so dominant in the Standard meta anyway, but I like to spend my dust carefully. Anyway, thank Blizzard Jade Idol is such an OP card. I also struggled working with the cheap priest deck. It's pretty similar, I believe, to the kind of general cheap inner fire priest that is suggested for many bosses, with the addition of the two SW: Horrors, which may work, but I think there are a few easy swaps that make the deck a good deal better. First of all, I don't think the SW: Death are necessary. The only time I had the LK with minions over 5 attack was when they were buffed by his spell that also gives them immunity to targeted removal, so they were really irrelevant. I also never managed to get more than one draw off my Acolyte of Pain, he seems to very often (at least in my games) coin out a 3/4 before your third turn which makes navigating the acolyte onto the board difficult, and if I wasted buffs on the acolyte I wouldn't have enough for the kill, even with the draw. Oddly, the Pyros and Blademasters didn't work well for me, but the Circles did. The LK AI makes odd trades, I could very often draw 3 cards off a circle without relying on Pyro and Blademaster, even if it did heal his minions. Cards that I added that felt very impactful were Twilight Drake, which is a phenomenal target for health buffs, and Mass Dispel, which felt somewhat necessary when a lot of my solid draws were ruined by sludge belchers hiding under frostmourne and preventing lethal when I ended up using SW: Horror on the board. I know the list is intended to be budget, but I felt that Shadow Visions was indispensable. Finding SW: Horror is imperative, and having two was often a blessing as a lot of his boards go wide with small minions. Also, having access to more Divine Spirit makes the combo much easier as I was often trying to deal over 50 damage in one go. The more doubles the better! I also ended up playing Loot Hoarders instead of the Acolytes, just because they came down a turn earlier and I wasn't typically getting more than one draw out of the Acolytes anyway. At the very least take the Deaths out of the suggested list, the only card in his deck that they do anything against at all is Bonemare, and in all my attempts I was either winning or dying before we got to the stage where he cast one. It makes the list look very untested. For Paladin if someone want win with a cheap deck (0 legendary needed) i made a statues deck (the ones that can't attack Eerie Statue Humongous Razorleaf Ancient Watcher) and put taunt on them with argus bonemare spikeridged sunfury , Lich King killed them and filled his board with those minions and couldn't also play cards because his side was full of garbage: I finished him easy with 8/10 atk minions hitting his face (Dinosize Bonemare Skelemancer). If he takes a Skelemancer he never suicide it on taunts leaving it filling the board forever with a 2/2 that attacks only your face when you have no taunts so pratically never. The only heal i used was a single copy Lay on Hands for a little draw late game. 0 attack minions are also good to give him because the only buff he has is bonemare and there is high chance he will discard them and if he use them he not target the 0 atk anyway, for 0 atk i used Runic Egg alone because is the best in this category. His final board was 1x Eerie 1x Watcher 2x Razorleaf 2x Egg 1x Skelemancer and my side was something with 30+ damage that hit his face a couple times. When he summons the ghosts either Doomsayer or Equality Consec them, those cards after that become useless because you shouldn't ever kill the statues. Thanks for these guides, got me over the line. Of the two not listed, I did Warlock first try with a death knight renolock. Turn 8 twisting nether into krul into the death knight did nicely. Druid I did as Le Goret suggested. I just stuck in every jade card, innervates, wild growths, fendral, one nourish and the auctioneers. Was pretty easy. For the others I used the guides here. Hunter I switched one Feign Death for Cairne to save dust. Got it first time but maybe rather lucky, drew Barnes on Turn 5 with two play dead in hand, and then drew all the deathrattles on consecutive turns. Mage seemed hopeless at first, but eventually Giant+Duplicate, obliterated, into Giant X3 echo Giant X3 made for a quick win. Paladin took a few tries but always felt close. Priest I may have been lucky, first try eventually a turn 2 2/5 radiant elemental became a 33/33 hehe. Getting a big cleric draw from pyromancer seems crucial. Rogue took me many tries. Felt it might be worth trying fitting in the Finja package to get some more oomph but eventually got there before I tried it. Shaman felt completely hopeless time after time. But eventually drawing both hobgoblins early on and both devolves by turn 8 did it for me, without drawing any bloodlusts! (Tip: healing totem is nice, and keep your 3+ health minions above 2 health as much as possible even if it means making unfavourable trades). Warrior seemed easy despite drawing a seemingly bad starting hand of Bring It On x2 and Death's Bite. Took a while to draw Deathlord so was low on health by the time Kelthuzad and deathlord stalled things but got back up to 36 armour thanks to an early justicar previously. Eventually played a couple of belchers to avoid burning cards which he suicided his lost soul thing into. So that forced an earlier than planned Brann+Oracle leaving him with a full hand and 2 card deck, and me with no more Oracles. But he never managed to clear Kelthuzad so just won by clearing his board and hitting face before his hero power got too big. (Tip: if your board is full kill the minions you want back first so they resurrect first. Then suicide your 1/2 taunts to make space). Thanks for the feedback. The Paladin deck took rather longer to build than I hoped, and I'm glad to see that it works for other people. (That guide is longer than some full deck guides!). About halfway through building it, I realised there might be easier ways to build it, but the solution feels unique, and I wanted to stick with it :) Most of the early versions ended up with too many cards in hand, which made cycling through the deck awkward. 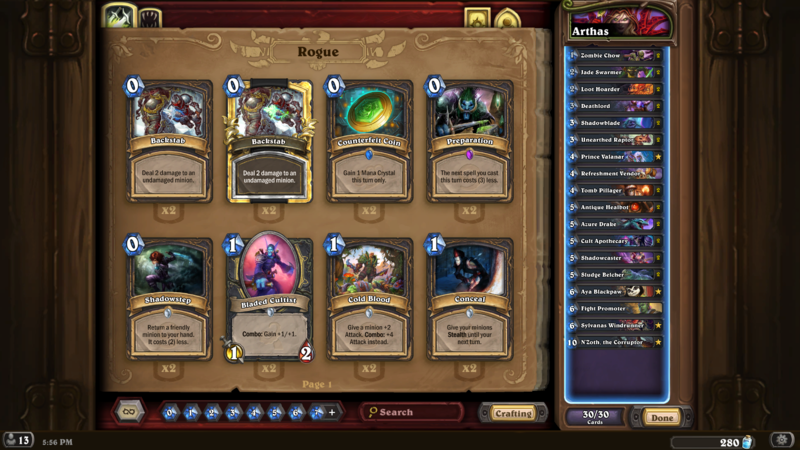 I completed Rogue twice in a row very early on, so I'll take another look at that at some point as I felt that one was quite strong. I'm catching up on some meta decks at the moment, so no promises on timescale though. I did rogue with this list, at first try. I didnt get lucky with any specific draw to be honest. Stealing buffed Maexxna was cool though. Main Shadowcaster targets are Antique Healbot and N'Zoth, the Corruptor obviously. Cult Apothecary could be fine as well. But it is more situational. Fight Promoter draws two cards almost always, later in the game. Once 2/6s hit the board, I just traded them with my board, this decks mostly have a good board presence, because there are no spells at all. Cant say Im a fan of the warrior deck... the rng is next to impossible to get right for a win condition... You were VERY lucky to win the above scenario. Ive played 3-4 hours of this warrior deck, each time missing Kelthuzad on the 7 round, or a deathlord, or a brawl with two of the sets of cards needed buried deep within the last 5 cards. I usually die from the Lich's hero power, but on the odd occasion where I survive long enough, i get the cards I need at the very end of the game, by which time hes amassed a group on the board capable of wiping me. Open to other suggestions deck wise to get the warrior done! I dare say I got a bit of luck, but it didn't feel that outrageously lucky to be honest. The crucial thing to have is brawl available on Turn 8. By then you've probably drawn/mulliganed nearly half your deck so you might get unlucky a few times but more often than not you'll have one. The rest you just concede and start again. It's nice, but not crucial to have Kelthuzad and Deathlord immediately available after that. He's just doing 7 damage a turn, which is 5 after armour up, 3 if you've played justicar (which you can play while he has one soul and the weapon, he'll just kill it with the weapon), plus shield blocks etc. Once you've got Deathlord and Kelthuzad down you can recover a lot of health while he sits there doing nothing but burn cards.